iPhone 5 owners who don’t want to use any of the three official iPhone carriers – AT&T, Sprint, and Verizon- in the US or want to use the iPhone 5 outside the states will most likely have to unlock their iPhone 5. The process of unlocking an iPhone 5 vary from carriers and depends how the phone was bought (full price or subsidy). Now, those who bought an AT&T-subsidized iPhone 5 won’t be able to unlock their phone that easy or free. Since AT&T does’t unlock iPhone for free (or at all) unless the contract has ended, you will have to buy an unlock for your iPhone 5 from someone else – not AT&T. You can buy the unlock service for your iPhone 5 very cheap from eBay, or look on your local Craigslist to find someone who does it locally. iPhone 5 unlocking service can be found on eBay cheap and easy, just search ‘unlock iPhone 5 imei‘. You’ll need to provide the seller the iPhone 5’s IMEI number, which can be found on Settings > About IMEI. After the seller tells you that your IMEI has been proceeded, simply restore your iPhone in iTunes and the iPhone should have been unlocked by now. 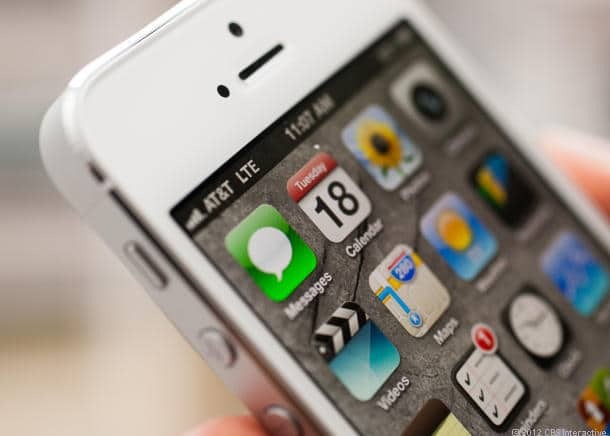 Although the Sprint iPhone 5 is a CDMA model like Verizon’s iPhone 5, the Sprint iPhone 5 does not come unlocked out of the box. The only way to unlock an iPhone 5 on Sprint is by calling Sprint and request for an unlock. Sprint will unlock the phone only if the phone is in a good standing account. After the unlock is done, the Sprint iPhone 5 will only work with international carriers – US carriers will still remain locked. Now that your iPhone 5 is unlocked, it can be used with others GSM carriers. Since the iPhone 5 uses nano-SIMs, you will have to check if the carrier offer nano-SIMs. If not, the SIM will have to be cut so it can be in the iPhone 5 SIM tray. T-Mobile currently offers nano-SIM for iPhone 5 users.